Oneplus latest flagship which is the OnePlus 6 is now available for purchase starting from yesterday which is the 22nd of May 2018 at 10am eastern time. 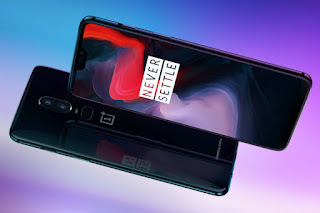 Fans of Oneplus who have been anticipating can now get the Oneplus 6 from OnePlus' official website by heading over to https://www.oneplus.com/6. The new Oneplus 6 is a flagship killer packed with most of the features you will expect from a flagship smartphone, all at an affordable price. The device is powered by the most efficient Snapdragon 845 chipset. It also sports a 6.28 inches Amoled display with a 19:9 display ratio. The device is available in three different colour options which are; Midnight Black, Mirror Black and the limited edition Silk White.